Sharpen your ability to listen and produce sound. Acquire accuracy not from the note but from the whole group. The technique of overtone singing allows you to become able to sing 2 notes at the same time, but it also allows you to develop a listening precision and to become aware of the abilities already present. Our hearing determines our vocal emission. When our brain correctly analyzes the perceived sound, including its timbre, the body uses less muscle energy to make the voice sound. It then becomes richer and more powerful without effort. This mechanism, which works automatically and unconsciously in some people, is not very active in many others, including singers. This course proposes to develop a finer awareness of sound and its components (harmonics) and to draw consequences on the quality of a collective sound: homogenization of the unison of a desk by equalizing the timbres, balancing the chords, building the sound of the choir and its radiating space. – Understand the functioning of the phonatory system and the mechanisms of the resonance chambers. – Approach the vocal mechanisms that produce harmonics. – Understand the harmony resulting from diphonic singing and its possibilities. – Discover the specific repertoire written for singers who master harmonics. – Acquire the reflexes and mechanisms to move towards autonomous practice. Audience: professional singers and good amateurs, singing teacher, choir conductors, music teacher. 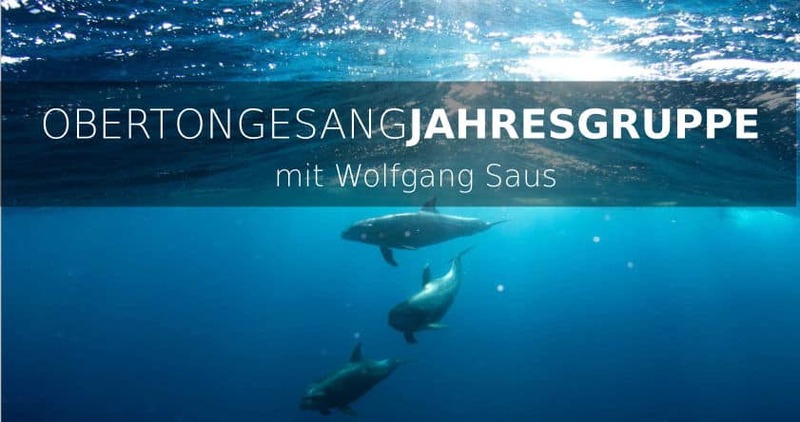 Wolfgang Saus is an overtone singer, classical baritone, singing teacher, vocal coach, vocal researcher, author… For him, the line between work and free time is thin. He is rarely at home, always travelling the world to acquire new knowledge about voice, sound and their effects. He writes a lot about overtone singing. He has a guest room at his home in Dinkelsbühl to welcome curious and visiting trainees.